Fresh sustainably grown produce offered for 22 weeks. 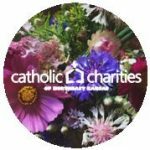 CSA Sign-ups for 2019 are now open, sign up at Farmigo to choose your pickup location, delivery time, and pay your deposit online. Community Supported Agriculture (CSA) is a unique model of direct farmer-to-consumer marketing where members build a partnership with a farmer or farmers. This gives the consumer (you!) a chance to interact more long-term with the people who are growing your food, and the farmer an expanded and reliable market for his/her produce. Both partners share in the risks and rewards of small-scale farming: weather, insect damage, and bumper crops. CSA members (or “friends” as they are called here at New Roots) pre-pay for an entire season of produce and pick up a variety of veggies each week from one of four different locations. 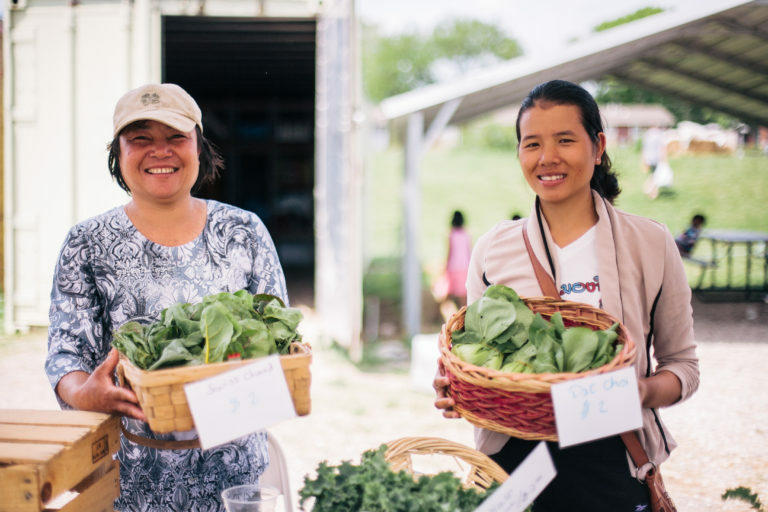 The New Roots CSA program helps refugees develop long-term relationships with customers while developing their small business skills and providing you with fresh, local, sustainably grown produce all summer. In past years New Roots has paired a single farmer with a CSA friend, which has been an enriching experience on both sides. After receiving a grant to expand and improve our CSA model in 2019 we are excited to announce a new aggregated CSA model – in 2019 customers will purchase a New Roots CSA share, and get to enjoy produce from multiple farmers in the training program. By pooling produce from the 16 farmers growing at Juniper, we can address issues of inconsistent produce quality, communication difficulties due to language barriers, irregular pick up times, and crop failure. As a New Roots CSA Member, you invest in our farmers by paying upfront for a weekly share of vegetables. 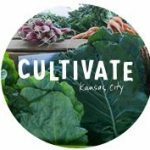 In 2019, we are offering CSA shares for pickup from 4 convenient locations around the Kansas City metro area. See CSA FAQ’s for more information.